Incense Stick is a unavoidable and necessary thing in Puja-archana or any sacred matter. The demand of Incense Stick is found all throughout the year. But the demand of Incense Stick increases on festive days. Incense Stick is used everyday in almost all homes and shops. You may start a small business at home with the Incense Stick Making Machine. At first you have to buy the materials from market. 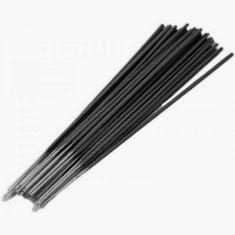 The materials for making Incense stick are available in cheap price in the market of Barobazar in Kolkata. You can know the whole process of making Incense Stick from the retailer from where you are buying the Incense Stick Making Machine. You can make 40 to 60 Incense Stick with the Incense Stick Making Machine. The price of the Pedal-operated Incense Stick Making Machine is approximately Rs. 25,000. The price of the Semi-automatic Incense Stick Making Machine is approximately Rs.75, 000. You can find many companies manufacturing a wide range of Incense Stick Making Machine. Their machine matches high technology electronic control.